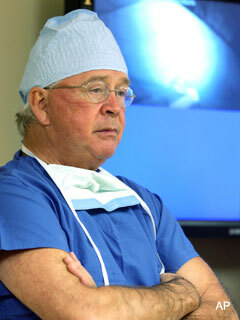 Dr. James Andrews – leading Tommy John surgeon is the new senior leader on this innovative and break through procedure, championed 1st over 40 years ago, and responsible for extending over 700 players careers now. For all the talk of baseball players (pitchers mostly) that will be undergoing Tommy John Surgery, we will be keeping a running list! E-mail us at mlbreports@gmail.com if you have any names to add to our totals. 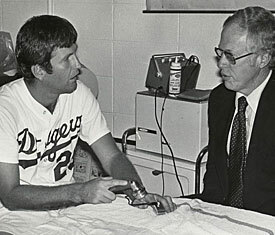 More Tommy John Surgeries By The Numbers + Who Is the 1st $100 MIL Pitcher To Go Down With It? + A Scherzer Angle? Bronson Arroyo, D’Backs July Surgery. Martin Perez, Rangers, May 19th. A.J. Griffin, Athletics, Apr.25th . David Hernandez – D’Backs – Surgery April 2014. Patrick Corbin – D’Backs – Mar.2014. Luke Hochevar– Royals – March.07, 2014. Miguel Sano – Twins (Position Player) Mar, 2014.